Living La Vida Rita: Finally! 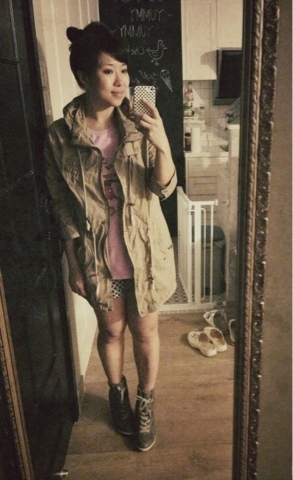 Affordable Sneaker Wedges! Thanks to ChicMcMuffin's obsession with sneaker wedges... I got infected and has been wanting an affordable ones forever! Finally found a few pairs from Oxbridge Town, a steal at HK$299 each! I tried black ones, but they made my legs even shorter & chunkier, so i decided to buy these instead. 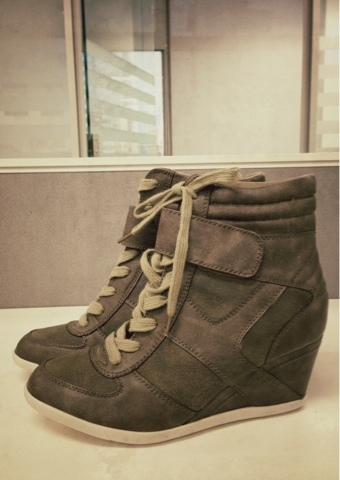 i LOVE LOVE LOVE my wedges sneakers too! They are super comfy and I walk around in them like flats. yay! oh oh oh catty! show me your sneaker wedges!